TRANSCEND MEDIA SERVICE » Tehran’s Damascene Moment? The wider regional conflict between Riyadh and Tehran has influenced much of the machinations of the Middle East. 14 Dec 2015 – A report from the US think-tank, the Institute for the Study of War, explained that Iran was part of “an extensive, expensive, and integrated effort to keep [Syrian] President Bashar al-Assad in power”. However, last week Bloomberg reported that according to US officials, they were seeing a “significant” reduction in the size and activity of Iranian forces in Syria. Washington is framing this as an Iranian retreat from Syria, having suffered bloody and senior military officials’ loses – as well as huge financial costs – in defending the Assad regime. However, in Syria’s ever-evolving civil war this is not necessarily the only reason for Iran’s change in approach, and several other scenarios are worth investigating. This would suggest that Iran feels it has the comfort of recognition and involvement in the cockpit of discussions on Syria’s future and doesn’t need to leverage the same level of military involvement in the country. The July nuclear deal was a significant moment in Iran’s coming in from the cold and was followed by the Islamic Republic being invited and agreeing to the principles of the Vienna peace talks in October. 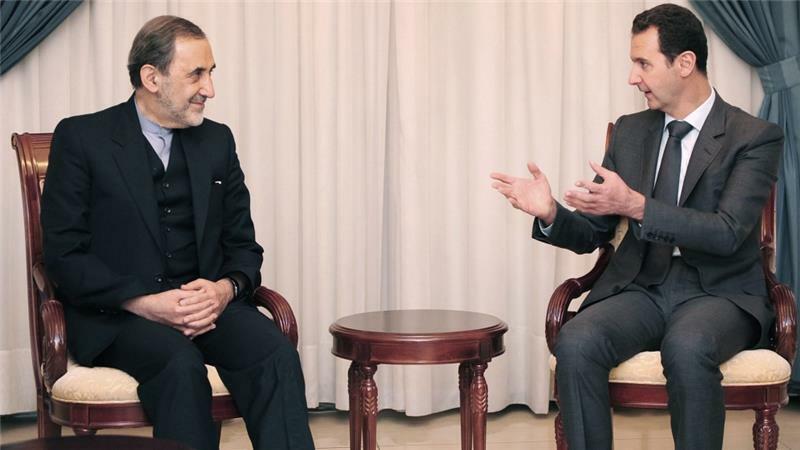 Tehran has repeatedly said that it is not tied to Assad personally and could feel that its influence across the political actors who will form the transitional government, mean that his future is less critical than it was in the past. In addition, we shouldn’t forget that the wider regional conflict between Riyadh and Tehran has influenced much of the machinations of the Middle East over the past decade. The fact that the two countries are sitting at the same table discussing Syria rather than negotiating through violence on the ground is a significant – and under-reported – success of the Vienna process to date. Russia’s dramatic escalation of its military role in Syria has led many to conclude that the Syrian government is no longer under threat of defeat, despite large questions as to whether Assad can regain lost territory. With the future of the regime secured and the corridors to Hezbollah in Lebanon no longer under threat, it could be argued that Tehran has achieved one of its major objectives that prompted its involvement in the first place. What is more, Tehran could find itself with a Hezbollah-like proxy in Syria in the future. The Wall Street Journal reported that at its peak there were 7,000 Iranian Revolutionary Guard Corps members and other militia volunteers aiding the Syrian regime. What is less clear is the exact role Iran has played when it comes to the National Defence Forces. The NDF is a part-time volunteer reserve component of the Syrian military that was reportedly formed by Qassem Soleimani, the commander of Iran’s elite Quds Force. According to a recent report by the European Council on Foreign Relations, there is disagreement between Tehran and Moscow when it comes to the command and control of the NDF, with Russia calling for its incorporation into the Syrian army, but Iran looking to maintain it as an independent force – in a style not so dissimilar to Hezbollah in Lebanon. So again, Iran’s supposed retreat could be linked to their confidence in Syrians doing the dying under their command – either direct or indirect – rather than them losing their own troops. This scenario takes the US argument of “Tehran in retreat”, but looks at it through the prism of the conflict in neighbouring Iraq. With the Turkish deployment of armed forces into northern Iraq and huge questions remaining as to how and when cities such as Mosul will be recaptured from the Islamic State of Iraq and the Levant (ISIL), Tehran could feel that now is the time to avoid fighting across all fronts and focus on the battle for influence in their immediate neighbourhood. With rumours of the escalating deployment of US troops to Iraq, this could crystallise Tehran’s immediate priorities even more so. In conclusion, while there can be little doubt about the cost incurred by Tehran in almost five years of supporting Assad during this crisis, their wider influence across the region – unleashed by the collapse of Iraq back in 2003 in particular – means that competing priorities, as well as confidence in the effectiveness of strong non-state actor allies, may more fully explain this redeployment.